ABEL GANZ was formed with keyboardist Hew Montgomery and multi-instrumentalist Hugh Carter as the founding members. Malky McNiven (guitars) and Ken Weir (drums) fleshed out the initial line-up of the band. Abel Ganz soon became a regular feature in the Glasgow live scene, and after some time they decided that it was time to add a vocalist to their line-up. Cue Alan Reed, formerly of Trance Macabre. He came aboard in time to partake in the recording of their first album "Gratuitous Flash" which was released in 1983. Regular live shows, airplay and an appearance at the Radio Clyde Kelvingrove festival increased their stature. This didn't always have a positive side to it though. Reed's performances had been noticed by UK act Pallas, who were in need of a new vocalist. He was asked to join them and accepted, and stayed on as the vocalist of Pallas until early 2010. This was just one of many line-up changes to befall Abel Ganz at that point in time though. McNiven left, to be replaced by Paul Kelly (guitars). He also took over the vacant job as lead vocalist. Carter decided to step down as a band member as well, replaced by Gordon Mackie (bass). The band changed, and so did their level of activity. 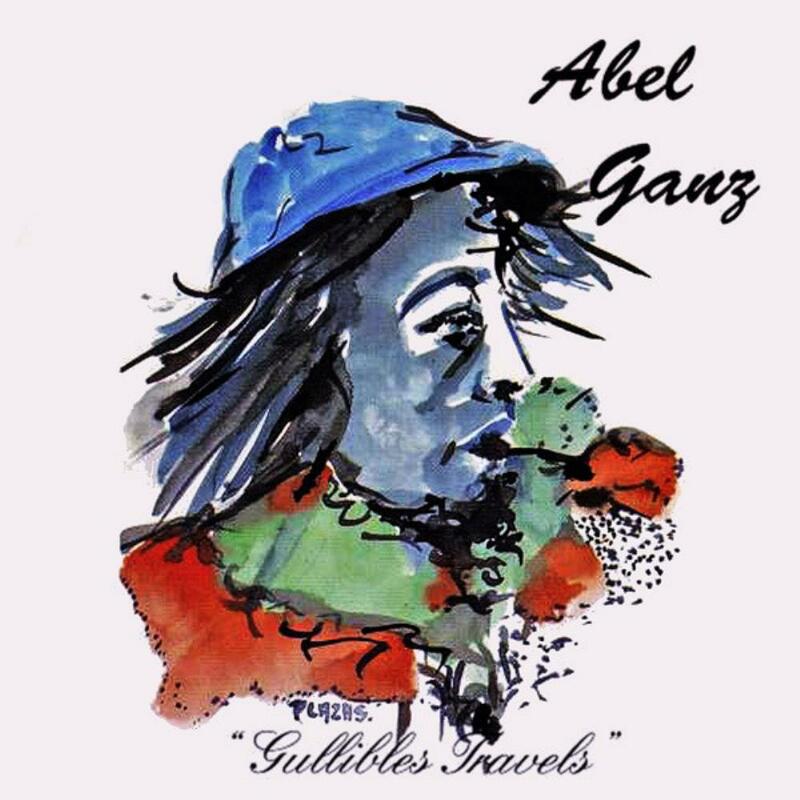 By the mid 80's Abel ganz was busier than ever before in the live circuit, and a new album saw the light of day in 1985 as well - "Gullibles Travels". They were signed to French label M.S.I. soon after, and with Denis Smith (drums) in as a regular member and guest appearances from former members Reed and Kelly a new album saw the light of day in 1988: "The Dangers of Strangers". 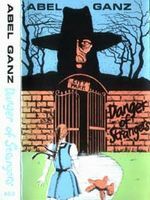 The 90's proved to be a troublesome decade for Abel Ganz. Montgomery left the band, and was replaced by Stuart Clyde (keyboards). This latest line-up started venturing towards more AOR tinged musical waters on the band's fourth effort "The Deafening Silence", and with some less than stellar management at the time as well it was eventually decided that the band was best left in the annals of history. Cue 2001, and a chance encounter between the founding members Montgomery and Carter. This lead to the resurrection of Abel Ganz, with Denis Smith (drums), Davie Mitchell (guitars) and Steven Donnelly (bass) fleshing out this new version of the band. A vocalist was still missing though, but eventually Mick MacFarlane hooked up with Abel Ganz. 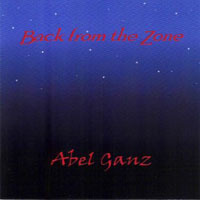 This revitalized version of Abel Ganz came up with a new album in 2008, "Shooting Albatross", and are still active. The last known news from them is that they are working on a new studio effort. One of the closest (but not best) clones of the Genesis era between 76-81. This is the only album that I heard in its entirety from the band as other songs didn't catch my attention that much. I must say that I love the Genesis period between 75-80 with Collins as the lead singer. 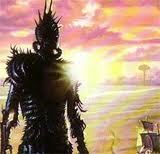 I like any other band, good or bad clone, that tries to recreate the atmosphere of my favourite bands. Abel Ganz are no virtuosos and the first real solo could be heard at the time mark 21:20 where the keyboard player produces a nice keyboard solo. Keyboards and vocals are most resembling Genesis. Keyboard layers, chord progressions and the choice of instruments is evident. Vocals sound more after Peter Gabriel and prefer them to the Genesis singer actually as they are not that dramatic. The drummer and the guitar player also certainly heard the song or two by Genesis. How does the album fare? They are good moody tracks, some instrumental parts and mostly focused on instrumental layers rather than improvisation or soloing. Tracks are accessible and have generally a good compositional quality. If you're looking to broaden your arsenal with the Genesis clones than go for this one too! In 2008 I discovered a new band (for me) and their new album. This band was Abel Ganz and their new album was then called Shooting Albatross. I played that record A LOT back in 2008 and 2009. I kept checking on the band to know if they would soon release a new record but by 2010 I lost hopes and forgot about them. In the late 2013/early 2014 the band started to tease fans in their social media websites and their crowdfunding campaign for their new album was a success. 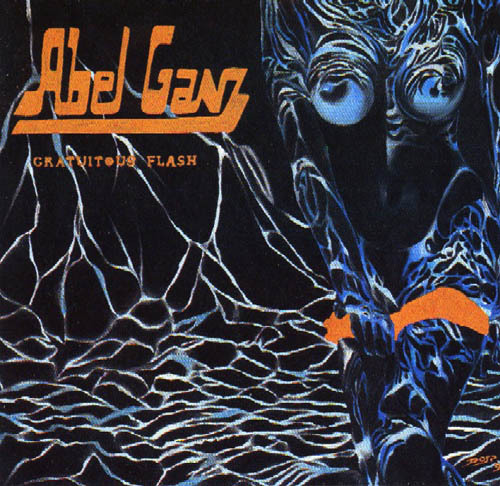 So here we have their self titles album Abel Ganz, released in July 8 2014. Now, first things first, this new release has certain differences from their previous album. First their have a new line up and this change any band's music. 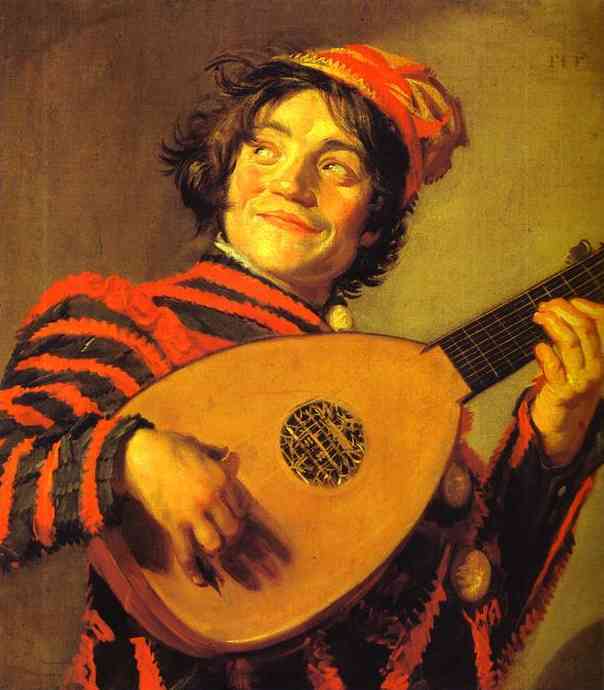 Second their new album is a bit more folky. Granted, their previous album was also very folky, but I believe Abel Ganz (2014) is more, way more. And third and final difference, the album is long, clocking almost 73 minutes. Musically speaking Abelz Ganz (2014) is as high as you can get. High quality musicians and excellent crafting songs. No doubt about it. But as with many long albums I feel a sense of 'filler' in many songs in the album and this is the big reason for the album not get a 5 stars from me (if not the only one). 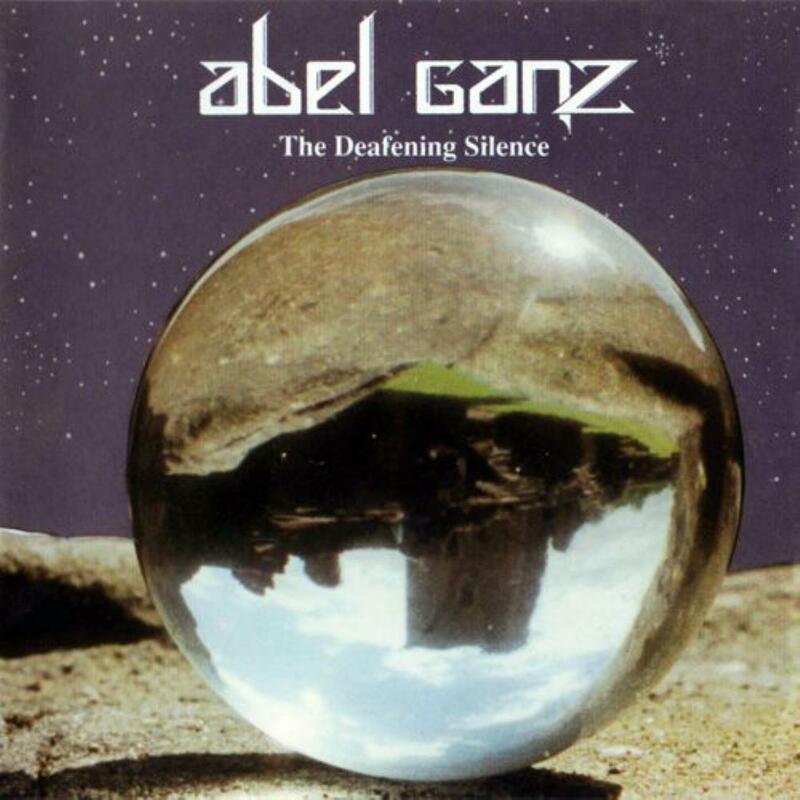 But don't fool yourself, Abel Ganz is an amazing piece of music, specially for the weak year that was 2014 for Progressive Rock. Also, the CD has one of the most amazing artwork in the last few years. You should definitely pick the CD edition and enjoy without reservations! 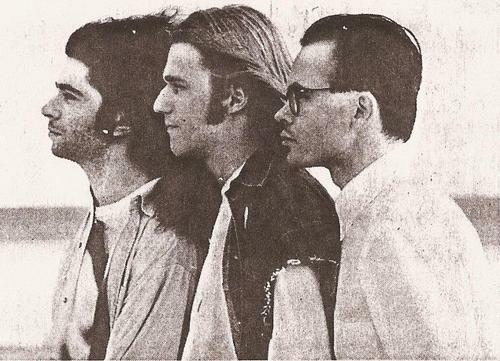 With the release of ''The dangers of strangers'' Abel Ganz returned to live performances, having recruited new guitarist Robert Wilson and drummer Colin Johnson, who also happened to be a studio engineer.However the line-up slump still was a major problem for the band.The places of lead singer and keyboardist had to be filled, after Hew Montgomery decided to step down.Christopher Forsyth joined the band as the new singer and Stuart Clyde became the keyboard player, leaving Hugh Carter as the only original Abel Ganz member.This formation recorded the band's fourth studio release ''The deafening silence'', released in 1994 on the French label MSI. According to the words of Carter, Abel Ganz were dangerously flirting with becoming an average Rock group around the time and his words are pretty much reflected on the sound of the new album.While the Scottish band still retained much of its Neo Prog qualities, that made them a top entry among 80's British Prog bands, the high-pitched voice of the new singer along with the more pompous keyboards lines of Stuart Clyde had added some sort of AOR flashes in the new work.The eponymous ballad with its soft atmosphere, the following ''Hold the moment'' and certain passages in several tracks are like listening to something composed by FOREIGNER or JOURNEY.But there is also the bright side of the album.Montgomery had participated partly in the album's pieces and the recognizable sound of Abel Ganz is still evident in most tracks.Flashy keyboard themes, short-handed GENESIS prog qualities and the quirky and tricky solos along with the omniprsent sense of melodious themes are still based on the 80's British Prog tradition, offering memorable and raw compositions with plenty of energy and passion.Big symphonic synthesizers and grandiose deliveries of rich musical textures are enough to hold the listener's attention, even if not comparable to the best material written by the band. 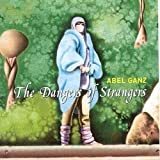 ''Serendipity'' and ''Stranger in your heart'' are definitely among the striking and well-crafted efforts of the band and deserve some praise in Abel Ganz'es long repertoire. The weakest, or better say most inconsistent, of all Abel Ganz early albums yet not weak enough to avoid a recommendation.A couple of tracks are of limited interest even to Neo Prog lovers, the rest of the album though contains signs of the band's 80's evolution with Clyde prooving to be a great keyboardist and Carter managing to keep the new formation together.Recommended. This is an album of quite diverse and eclectic styles, though it is essentially a collection of nice retro Prog Folk in the same league as THE DECEMERISTS and ECHOLYN (though I like this album better than anything I've heard from the latter two). The five-part epic entitled "Obsolescence" (23:22) (8/10) is a true prog epic--opening in an acoustic folk fashion like THE DECEMBERISTS, but closing with hard electric instrumentalism. The album has a couple of full-blown world music songs, including "Heartland" (5:08) (9/10) complete with woman singing in an unusual foreign language and ENIGMA-like rhythms and synth washes, and the instrumental "End of Rain" (5:33) (9/10). "Spring" (2:25) (8/10) and "A Portion of Noodles" (3:22) (8/10) are both Windham Hill-like solo acoustic guitar pieces. "Thank You" (6:57) (7/10) is an out-and-out Country/Western song. "Recuerdos" (4:20) (8/10) is a beautiful, sensitive, horn-supported CHICAGO/FROGG CAFÉ-like song. There is even a modern neo-chamber piece, the album's opener, "Delusions of Grandeur" (2:12) (10/10). The album's finale, "The Drowning" (5:25), with its deeply stirring male vocal with only the support of a horn section, almost defies categorization and yet may be the most beautiful and effective song on the album. (10/10) What a way to end and album! This is definitely an album that has been well worth the attention and time I've given it to get to know its depths and subtleties. What I originally thought was good I now highly recommend as an excellent addition to any prog music lover's collection. Scottish proggers Abel Ganz have a long history that stretches back into the neo-prog scene of the 80′s. Like many groups of that era, they too had a long period of quiet, with no releases following their The Danger of Strangers album in 86′ until their 94′ album The Deafening Silence, followed by an even more extended break (12 years) prior to the release of their definite return in 2008 with the critically well received Shooting Albatross. 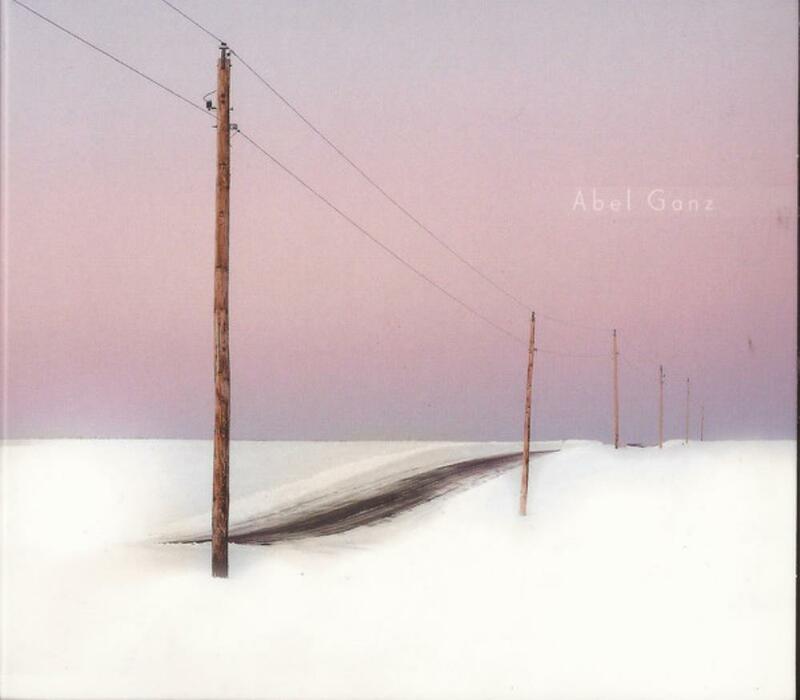 With so many years between albums one can expect that things will be a bit different each time around, and such is certainly the case with Abel Ganz, who's latest direction since Shooting Albatross has been increasingly acoustic, folky, and pastoral. Not a bad thing in my estimation. The opener, "Delusions of Grandeur," ends up being much more than your typical instrumental intro, driving immediate interest into the album with its nostalgic, pastoral opening which soon passes to a menacing theme performed by a classical style ensemble which even manages to surprise us me in the end with the sax being chosen as the lead, giving it a very unique flavor. From here, the five part "Obsolescence" song cycle takes us deep into what the album is all about. From 12 string guitars, folky picking, woodwind interludes, and a strong celtic pop feel, "Obsolescence" takes us on a journey from light to dark and back again. The transition from the light picking of sunrise to the upbeat, even bouncy, rhythms of "Evening" is well executed, with the latter taking many elements of the former and integrating them in new ways, such as the recorders from "Sunrise" becoming integrated as harmonic counterpoint" on "Evening." Following a a pedal steel guitar solo and plenty of conga, the transition from "Evening" to "Close Your Eyes" is actually the most fascinating due to its dramatic mood change. Shifting towards a darker sound that integrates pounding bass/drum interjections under plucky acoustics, harmonized vocals, and some roaring Hammond, "Close Your Eyes" is a track that kicks the album up a few notches with its increased intensity, strong groove, and unexpected keyboard solo before a fantastic synth sequency section followed by intense drumming that reels us back in to the main song. From here the cycle continues to evolve, this time with the advent of "The Dream." Aptly titled, this piece actual does have a vivid dream feel, augmented by its somber mood, uncertain chord patterns, and fluttering flute. THe gorgeous use of vocals harmony over a delicate Mark II Mellotron flute is pure gold, and the theme at the end is a winner with its strong nostalgia inducing factor. 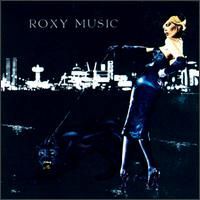 The real highlight of the song, and the album for that matter, is the surprising organ solo at the end of the track, which starts off soft and pretty before suddenly becoming triumphant and even gothic, bringing in huge chords and drum accents followed by a Bach-like melody on synth over cathedral-esque atmosphere before returning to a joyful theme. Wrapping up this powerful musical suite is "Dawn," a guitar solo that extends the main organ theme from the previous track over growling Hammond, taking us through several key changes for an uplifting conclusion. While the rest of the album offers many elements presented in "Obsolescence," there are a variety of tricks that Abel Ganz pulls out along the way to keep it fresh. "End of Rain" and "Heartland" were completely unexpected for me. Between their mystical atmosphere fluxes between cinematic and new age soundscapes, proving a bit of trance inducing music for your pleasure. "Unconditional," a powerhouse song oriented piece, delivers wise use of constantly changing measures that don't distract but add a strong sense of groove to this catchy piece featuring great motifs, nice jazzy sections, a blazing guitar solo, and loads of vocal hooks. The biggest surprise, however, was the use of brass on several of these tracks. It makes a brief appearance in "Unconditional" on the jazz section, but it especially caught my attention on "Recuerdos" and "The Drowning." The slow, marching quality of the brass on "Recuerdos" adds an unexpected old-school vibe to this highly folky piece, while the horn section in "The Drowning" floored me with its evocative melodies. Banking on a strong, even mesmerizing sense of melancholy, "The Drowning" is about as brilliant of an album closer as you'll come by. The lamentful brass section carefully undulates in dynamics under introspective vocals in a low register for maximum effect. Additionally, the powerful lyrics, augmented by a heart wrenching trumpet solo will just about bring tears to your eyes. Bravo. 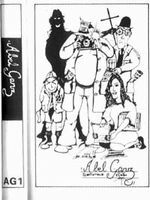 All in all, Abel Ganz's latest shows a keen sense for songwriting that focuses on strong melodic ideas within a consistent framework of sound. That said, there's enough strategic deviation from the expected to really make focus key sections impactful. Add in the benefit of crystal clear production values and Abel Ganz shows themselves to be progressing quite nicely in 2014 with an album that is certainly worthy of being self-titled. I kind of drift around prog finding, listening to, loving and enjoying a lot of great stuff, but now and again an album catches my ears and this is one of them. I'm getting old in my brain cells, but from time to time an album just seems to "fit", I know I like it, it's just ..............good. This is my latest one, I'm still listening, still hearing, still wondering, but totally enjoying every moment of it, almost lie a rebirth of Abel Ganz? Sorry if that's way out of order, it could be my limited listening / knowledge. What I'm saying is, I really like this, but i'm still listening, nice one guys. 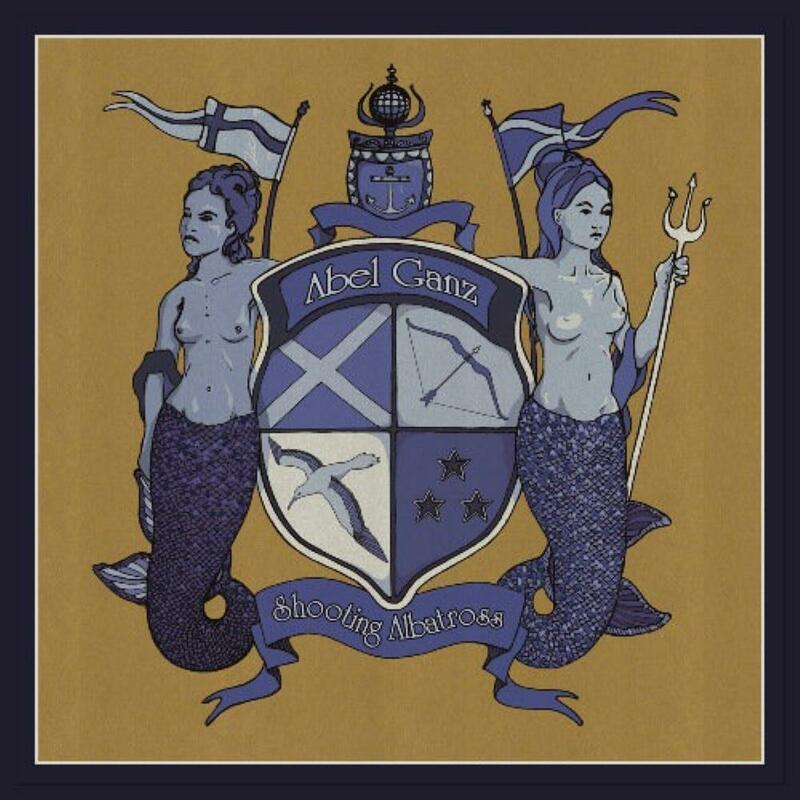 Abel Ganz previously unleashed one of the finest prog albums in recent memory with the divine 2008 "Shooting the Albatross", a release that caught more than one pundit with its prog pants near their ankles. Critically acclaimed and considered by many as a one-shot surprise never to be repeated, the Scottish band went through another round of musical chairs, losing original co-founders Hew Montgomery and Hugh Carter, and looked sadly like they were done. The bass and drums have remained intact as both Stevie Donnelly and Denis Smith are back, always good to have such a solid spine in place. Guitarist Davie Mitchell is back as well. New recruit Steve Lightbody on keys does a fabulous job while long-time vocalist Stuart "Mick" MacFarlane is now standing in the front spotlight. I was overjoyed about the prospect of another exciting Abel Ganz ride. It will nevertheless be a different kettle of fish. The sound has changed into a another subtle variation of neo-prog, this time with a more wholesome attitude, perhaps nearer to what I would call "hard neo- folk", like Big Big Train, Red Jasper The Gift or even Guy Manning. A bristling symphonic overture sets the stage for the 5 part "Obsolescence" suite, a 23 minute revelation that hits you upon first earful, chock full of twists and turns with silky flute, colossal church organ, country-style guitar pickin', slippery synths and of course, a fascinating story delivered by the more than credible "Mick". Bassist Donnelly does wonders on the low-end while his partner Smith propels with subtle delicacy. The suite has a distinct "I want to hear this again and again" feel, a trait that certainly bodes well for future returns. It certainly fits very nicely with previous accomplishments like "Sheepish", "So Far" and "Ventura". What really caught me off guard was the delightful acoustic guitar performance on "Spring", a breathless moment where I was expecting vocals that never came, a lovely piece that has an Anthony Phillips pastoral sheen. Drop dead gorgeous. Memories in Spanish are "Recuerdos", a vivid cut of nostalgia, fervently expressed by a stunning trumpet-like theme, escorted by an elusive guitar and a fully emotional voice that will tug at the heartstrings, crickets providing the slick backing vocals. Fragile and beautiful, once again. Finally, we reach epiphany with the deliriously stunning "Heartland", a modern, electronic symphony of intense pleasure that has children playing, screaming and innocence at rest. A female voice that winks at Hungarian folk sensation Marta Sebestyen, a world music interpretation that only proves the level of wanton progression expressed by the musicians. The Gaelic vocals are supplied by Joy Dunlop. It segues nicely into "End of Rain", a sleek, acoustic guitar-fueled track that seeks out incredible images in the listener's mind, as if trekking through the rolling hills and dense forests, fresh and brisk air massaging the skin. Donnelly caresses his bass frets in bewilderment, a sonic utopia that exudes endless reverie. The final moments are exuberant, the bass and drums doing a tight waltz. This is beyond bliss, simple atmospheric music can be so perfect. Malcolm Jones of Scottish legends Runrig makes an appearance on "Thank You", a typical Scot country tune, closer to Runrig with blessed accordion and a Mark Knopfler-styled guitar solo that twangs and slides with pedal steel-feel. A vibrant tune that will certainly stay the course, though totally devoid of any prog references, just a nice song! "A Portion of Noodles" is another brief folk ditty, MacFarlane once again shining on the acoustic guitar, displaying sterling technique and a mesmerizing sense of feeling. This again serves as an appropriate introduction to the upcoming massive epic, the 14 minute "Unconditional", a harrowing pot-pourri of various styles, an American Indian beat that winks at the Eagles, a tortured guitar that veers into a jazz mode and then later into hard metal territory, Mick crooning with total conviction. Trumpets indicate New Orleans rather than Glasgow but the mood is delightful, electric piano gleaming brightly, shifting drums and very cool bass undertow. Lightbody does a masterful piano solo that is straight out of the jazz universe. The arrangement acquires more raw power as the surly organ decides to rage brightly, Mick starting to howl in earnest, Gentle Giant-like dissonance taking a brief bow as the guitars start to ratchet up their rage, Mitchell unleashing a mother guitar solo, very electric, very Vai/Satriani , highly intense. Toss in some choir harmony voices, stop on a dime movements, dazzle and shine. Totally unexpected and totally brilliant! "The Drowning" sets this one to the cradle, pulling a comfortable duvet over the tired and weary soul, a goodnight kiss that will help dream sweet dreams. MacFarlane croons, flugelhorn in tow, brassy knobs on a wooden bed. Drenched in deep melancholia, the ebb and flow of the album comes to a serene conclusion. A gloriously tired trumpet eases onto the pillow. This album is quite different, not as linear as the thrilling "Shooting the Albatross", content to explore new sounds and new dimensions, searching out distant horizons but making them fit into a catalog of sounds that unendingly excite and enthrall. Is that not the ultimate purpose of a progressive album? 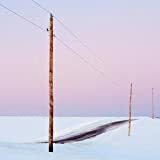 I beg to differ on the cover artwork, it is one of the most poignant ones in recent memory and perhaps I can relate better living in Alberta, where such bleak winter vistas are commonplace. The lilac sheen is inspiring. Love this precious album. last opus after too much time is here ; and really fantastic album delivered ( for me the best ). very different of first albums with a new sound in the vein of big big train , genesis , the creativity is evident ( fabulous guitars ) & instrumentals fusion at the top , some tracks are more longer ( the last ) & what can i say : a divine pleasure for my ears . 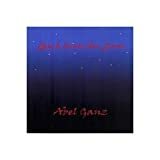 it's amazing to see that abel ganz must asking help to fans to finish this album ( pure nonsense for real musicians !!! );when you can hear so much bull[&*!#]s who have success with the crowd , i'm say to myself :oh god thanks to make me enjoy this real music created by great & real artists !! for all fans of prog & simply great feelings with music , this album is a MUST !! so enjoy listenning it !!! 5 stars of course ( may be the best release this year with roy strattman album ),,,,,like say steel pulse : life without music i cant live !!!!! After an 85' tour throughout Scotland Abel Ganz would again face the cruel reality of line-up changes.They hired a new vocalist, Martin Haggerty, who only played two gigs with the band, and in 1986 Weir left to be replaced by Alan Quinn.The track ''The dangers of strangers'' was recorded for the ''Double exposure'' compilation album, but soon the band fell apart.Hew Montgomery made an attempt to revive Abel Ganz in 1987 and former members Hugh Carter and Malky McGiven joined him, however they went on basically as a studio project, lacking the additional crew to perform live.A new cassette-album was released by the trio in 1988, ''The dangers of strangers''.They were joined by ex-bandmates Paul Kelly and Alan Reed in a couple of tracks, while session drummer Denis Smith took over the drum duties.The album was re-released in CD on Ugum, as all of the early Abel Ganz works. It would be a surprise if all the aforementioned issues had no effect on Abel Ganz'es inspiration. ''The dangers of strangers'' is another good album by the Scottish veterans, but it certainly lacks some of the incredible pieces of the past two albums.Even so, this is pretty tight and uncommercial Neo Prog with full respect to the band's early roots and plenty of enjoyable moments.The songwriting appears to be more laid-back and emotional with less angular keyboard acrobatics and a tendency towards more conventional structures with focus on lyrical passages, PINK FLOYD-like atmospheric textures, stll having this mid-70's GENESIS vibe.The two-part, 12-min. title-track is a very strong piece with thematic changes and tempo shifts, built around Kelly's very good vocals, melodic guitars and Montgomery's solid keyboard work, but the three-part, 9-min. ''Rain again'' is some sort of a dissapointment, sounding very accesible, only saved by Reed's excellent vocal parts.Old-days Abel Ganz will return with the fully convincing ''Hustler II'': Emphatic Neo Prog with instant melodies, bombastic keyboards, ppompous instrumental material and sensitive singing lines.The 8-min. ''Dreamtime'' reminds me of early PALLAS, balancing between a lyrical atmosphere and excellent, CAMEL-esque guitar soundscapes, while the closing ''Pick a widow'' is a decent instrumental piece, based on groovy beats, flashy synthesizers and solid guitar work. 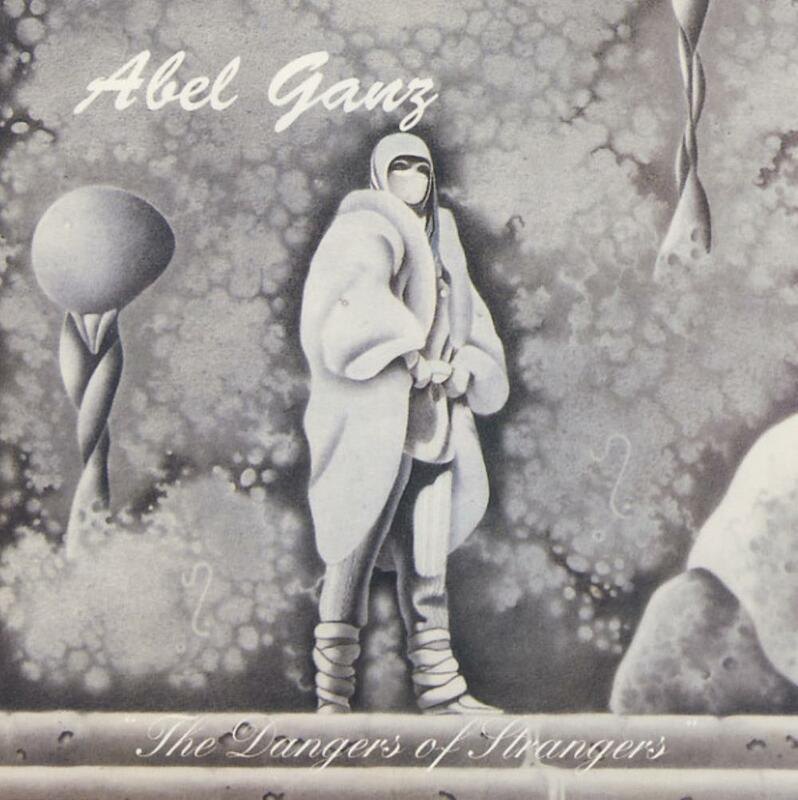 ''The dangers of strangers'' prooved that Abel Ganz were alive and well back in 1988.Not the best album by the band, but certainly a very good Neo Prog release with a balanced sound and consistent vocal/instrumental executions.Recommended.